I know you’re dying to know what my favorite holiday dessert is, and I am not going to keep you waiting any longer! It’s Sherry Pumpkin Chiffon Pie. 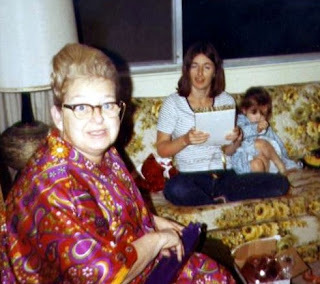 Here is Nana, my mom and me in 1970. The era of the Sherry Pumpkin Chiffon Pie. 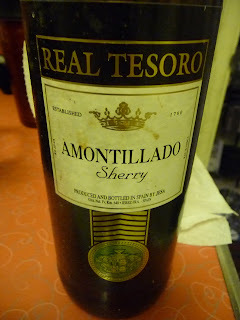 Maybe I had an early taste for fortified wine? It’s possible. But this pie is spectacular! Not overly sweet, with a depth of flavor from the sherry, and light and fluffy, unlike a regular old pumpkin pie. Notice that Nana is wearing another of her beautiful caftans. I swear, I wish I had these things now. Look! I remembered the groceries! This does not include the crust ingredients because I used a roll-up Pillsbury one instead of using the one in the recipe. Sue, me—I made 4 pies, who had time for pastry? 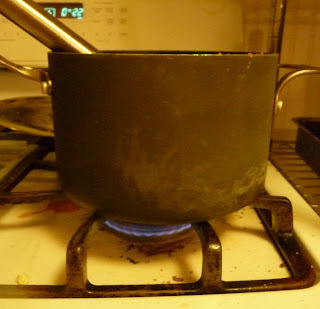 In a saucepan, mix together the gelatin, sugar, spices, and salt. the pumpkin and the egg yolks. Mix well. Cook over medium heat, stirring until it comes to a boil. Remove from heat. Cool thoroughly, stirring occasionally. 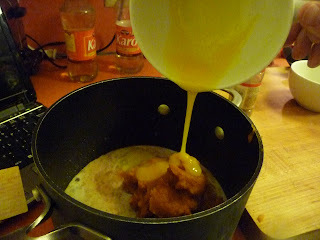 Beat egg white with mixer until peaks form. Set aside. Beat 1/2 cup cream until stiff. 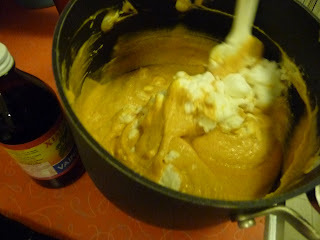 Fold egg whites and cream into pumpkin mixture. Fold gently so you don’t deflate the egg whites or cream. 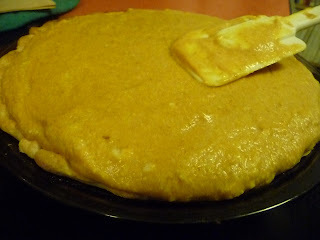 Pile pumpkin into baked crust. Chill. Before serving, beat remaining cream and add confectioner’s sugar and vanilla to taste. 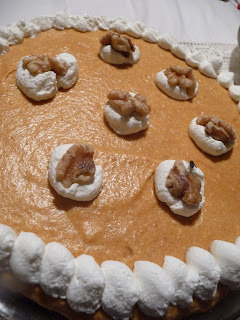 Decorated top of the pie with whipped cream and walnut halves, chopped nuts or orange peel. Combine flour, nuts and salt. 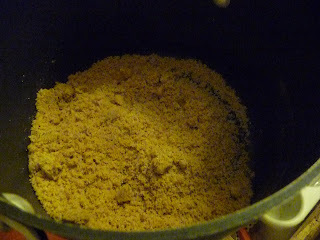 Cut in shortening to make coarse crumbs. Lightly mix in water–shape into a ball. Roll out and fit into a 9-inch glass pie plate. Flute edge. Prick pastry with fork. Bake for 8-10 minutes, or until golden brown. Cool and fill. 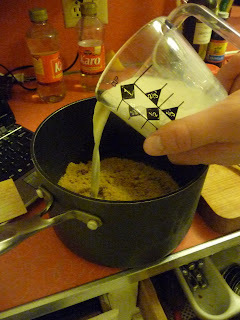 Mix together gelatin, sugar, spices and salt in saucepan. 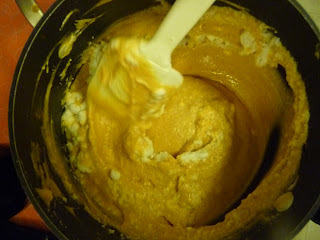 Stir in pumpkin, egg yolks and milk. Blend well. Cook over medium heat, stirring, until mixture comes to a boil. Remove from heat. Cool thoroughly, stirring occasionally. 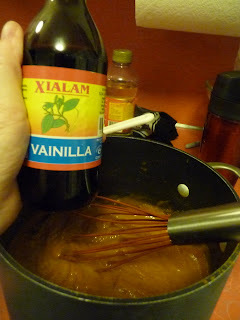 Stir in vanilla and sherry. Beat egg whites until peaks form. Set aside. 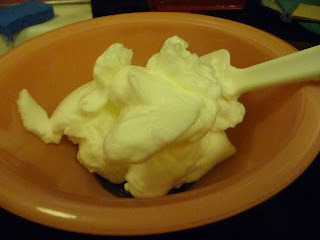 Beat 1/2 cup cream until stiff. 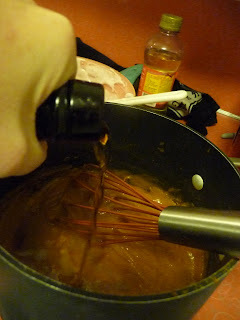 Fold egg whites and cream into the pumpkin mixture. Pile into the baked pie crust and chill thoroughly. Before serving: Beat remaining cream, add vanilla and confectioner’s sugar to taste. 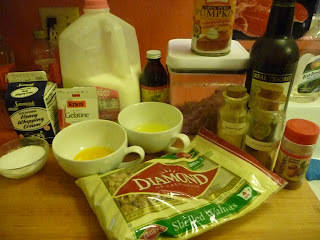 Decorate top of pie with whipped cream and walnut halves. You can also use chopped walnuts or orange peel to decorate the pie, if you wish.